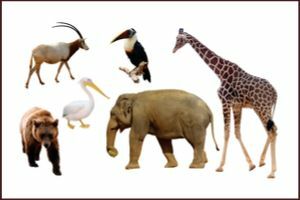 How many animals can you guess in this quiz? Better yet, how many do you definitely know the answer to? Find out how much you know about animals by taking this quiz! See how many questions you can answer that look like this: Which animal finds its way with echolocation? How can you tell a cheetah from a leopard? Which elephant has bigger ears? The better you are at identifying animals and the more you know about each species, the more fun you'll have in nature. Find out how much you have to learn by taking this quiz!